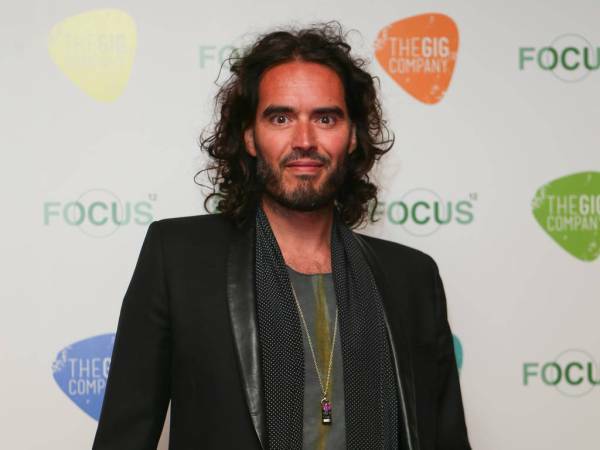 Russell Brand still has "very warm" feelings towards his ex-wife Katy Perry. The 41-year-old comedian was married to Chained to the Rhythm star Katy for just 14 months, between October 2010 and December 2011, before he filed for divorce. Both have since moved on with their lives, with Russell now father to daughter Mabel with fiancee Laura Gallacher, but that doesn't mean the Finding Sarah Marshall star holds any grudges over the premature end to his marriage. "I have come away from that experience and I still feel very warm towards her," he said, during an interview on U.K. TV show John Bishop In Conversation With. "When I hear about her or see her, I think 'Ah, there's that person, that person in the world'." Speaking about the end of the marriage, Russell explained: "Katy was obviously very, very occupied and busy. I was occupied and busy but not to the same degree. The marriage didn't last for a very long time and I think that is due to the undulating nature of fame, living in those conditions." 'I kissed a girl' singer Katy Perry and Russell Brand divorced in 2011. PHOTO: Cover. Russell has been linked to his fair share of celebrities over the years, with his famous exes including Kate Moss, Geri Halliwell and Jemima Khan. But Russell describes it as a "f***ing relief" when he met his wife-to-be Laura, because their bond was unlike anything he has experienced before. "The bond between my partner and I is based on something that is very earthed," Russell gushed. "We are friends, we are very good friends. When I'm talking to her, I'm very plainly chatting. "I thank God for something normal, something real. Not something that's going to break apart and be nothing." Becoming a father has also had a dramatic impact on Russell's life, with the comedian blown away by daughter Mabel every day. Speaking about the four-month-old tot, Russell mused: "The thing that has been the most spectacular thing in my life has been the most ordinary thing: a baby came out, like all of us did, the same experience we've all had."